Bodog88 Full Review - Best Chinese & Malaysia Poker Site! Bodog88 is the Bodog poker site for players located within Asia. 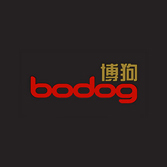 The Asian-facing online gambling product is owned and operated under license issued by Bodog and its partners. The original company, which was initially Bodog.com, and then Bodoglife.com and finally Bovada, was founded in 1994 by Calvin Ayre. Bodog88 operates a sportsbook online, a casino, and of course a poker room. Additionally, Bodog88 offers a mobile casino and a live dealer casino that targets Asia customers. However, the company only accepts customers with “active” bank accounts in China, Thailand and Malaysia. The site is only available in its “target” languages of Chinese and several others, with a UK version of the site you can view in English if that’s what you prefer. Most of the bonus offers are aimed for players in those aforementioned countries, which would be primarily the Chinese Yuan and the Ringgit. The site was once quite expansive as far as its Asian market presence, but has since only started to accept customers from just China, Thailand and Malaysia. Brand new players at Bodog88 are given the opportunity to claim a deposit bonus when they make their 1st deposit into a new account at Bodog88. New players eligible to take advantage of the Bodog88 welcome bonus of up to $1,000 (RM 4450 or 6900 CNY)! Unlike most bonus offers, the bonus is instantly available in your poker bankroll the second you claim it in the cashier window. For the most current promotions available at Bodog88.com, just visit the website and click the promotions tab. Be sure that you understand the clearing and play through requirements for any bonus offers you accept, as well as the requirements for cashing out any winnings. Claim your 100% up to RM 4450 or 6900 CNY bonus today at Bodog88! 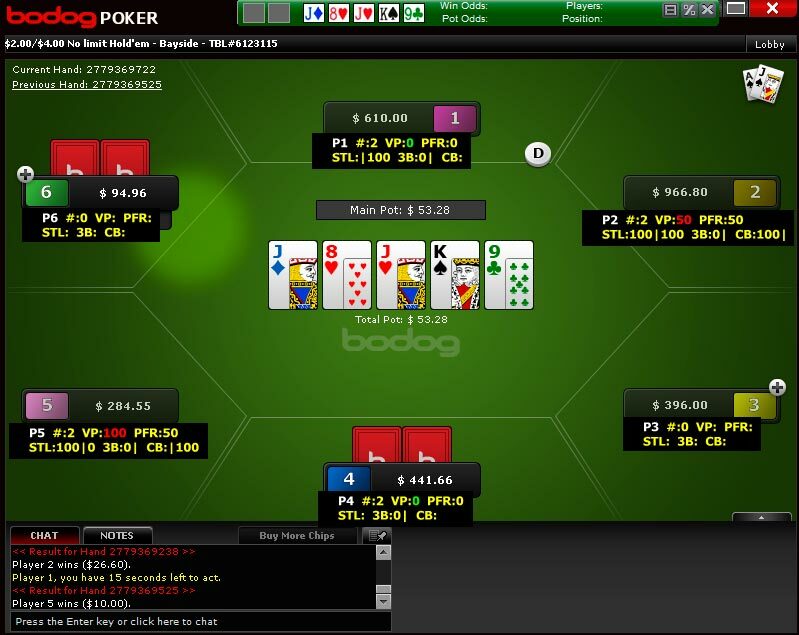 This is an example of what the tables at Bodog88 look like below – you can switch up table colors and even insert multi-color decks of cards if you want. Bodog88 is fully customizable with the player’s needs and wants at their finger tips. Bodog88 accepts most popular payment methods that are commonly used within the poker industry. The site allows the use of Chinese Visa’s, MasterCard’s, and Debit Cards. Additionally, Bodog88 accepts deposits, and sends withdrawals to most popular eWallet’s including Click2Pay, NETeller, and Skrill. * Denotes PRIMARY currency for Bodog88 and new customers from these regions. You can actually use Holdem Indicator at Bodog88, which will provide you some basic session review information. The thing that makes the Bodog brand unique though is that the site is completely anonymous, so you can only collect information on your opponents during the time you’re playing with them. So if you’re playing with the same opponent for several hours you’ll obtain some basic stats about that person, for instance their 3-bet percentage, the some basic post flop information. Keep in mind though, once you’ve been playing with the same person this long, the odds that you’re playing with an inexperienced player is going down, they’re there grinding for hours just like you. When the session ends, everyone’s identity changes. 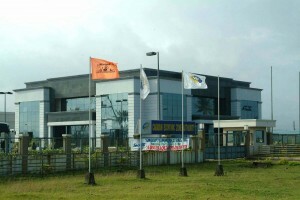 Haydock Entertainment is legally operating under a license that was issued by the First Cagayan Corporation which is also known as the Cagayan Economic Zone Authority, more commonly referred to as CEZA. Ceza is owned and controlled by the republic of the Philippines. Bodog88 provides support for poker players every day of the week, every hour of the day. Player support is available via live chat that works just like an internet instant messenger such as Yahoo Messenger or MSN Live.